If you've ever had a typical Pad Thai, you've had cellophane noodles. They're an inexpensive, no-fuss foundation for summer salads. Noodles are a staple of diets worldwide, but they do conjure up images of hot pots of boiling water and pasta plumping away for 8 or 10 or 12 minutes on the stove. Not the most appealing image for a hot summer day. But cellophane noodles are in another league. They don't even need to cook – just soak them in hot water for a little while. In the world of food, noodles are also the ultimate non-partisan player, a neutral platform. Yet even in this aspect cellophane noodles excel; they’re the Switzerland of noodles. Usually made of rice flour, they have a clear, almost translucent look (hence the name cellophane) and provide more texture and mass than actual flavor. They can be a perfect vehicle for sauces. 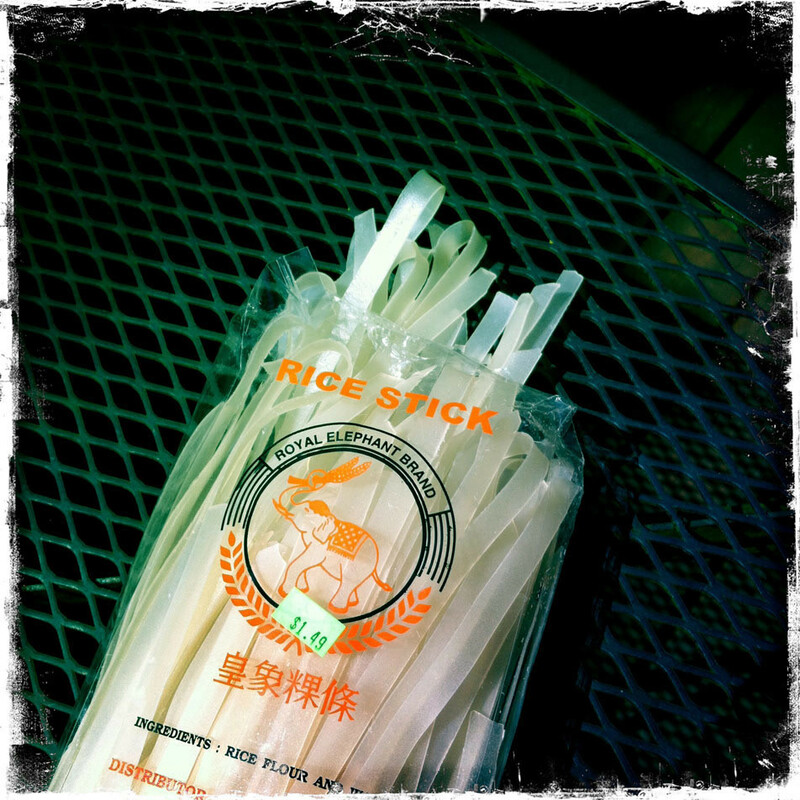 Cellophane noodles come in many widths, from thread-thin to ribbon-thick, and go by many different names including vermicelli, rice stick, bean thread or glass noodles. A trip to any Asian market will reward you with perhaps an overwhelming number of choices. All are cheap and require merely soaking in hot water for a few minutes to soften up and be ready for mixing with whatever salad ingredients you like (or tossing into a stir fry, if you’re willing to turn up the heat in the kitchen a bit). Boil water in a kettle, start chopping some fresh raw vegetables, and in literally only a few minutes you’ll have a cool summer salad. It can be lunch or dinner, will keep well for a few days, and travels to work or a picnic without fuss. The most commonly growing summer vegetables are perfect for tossing with the cellophane noodles. The cool flavor of cucumbers, plus crisp red bell peppers and the bite of scallions, red onions or sweet onions are some of my favorites. Here's a recipe to start from, adapted from Sundays at Moosewood Restaurant. The crabmeat is optional; fresh chopped raw vegetables alone are equally delicious. Consider color and texture, but vary your choices as desired. This recipe is Japanese inspired, hence the sake. Cook the cellophane noodles (depending on thickness, usually, boil 3 minutes, or boil water and pour over noodles to soak and soften them). Drain the tender noodles and rinse in a bowl of cold water if desired, until noodles are cool. Combine 2 tablespoons of the sake with the vinegar, soy sauce and mirin. Cool. Peel the cucumbers, cut in half lengthwise, remove seeds (optional), and slice as thinly as possible. Optional step: Place in a bowl, sprinkle with salt, and allow to sit a few minutes. Squeeze the salted cucumber slices. Rinse well, squeezing out all the excess water after rinsing. In a bowl, toss all the ingredients with the marinade to coat, and serve. Alternatively, layer the noodles and cucumbers, sprinkle on the crabmeat or red bell pepper, pour on the marinade over all and serve.